Even the photographs of the Indian Army involved in Myanmar military operation came into question. Even as the Indian Army continues to win accolades across the country for its recent Myanmar operation, the question that remains unanswered is how many militants were actually neutralised and in whose territory. It had initially emerged that two teams of commandos from the elite 21 Para (Special Force) Regiment of the Indian Army had crossed the Myanmar border and killed several militants in a swift operation on 9 June in an apparent revenge to the deadly ambush on a convoy of Assam Rifles in Manipur on 4 June, in which 18 soldiers were martyred. The strike barely lasted 45 minutes and the army killed a "significant" number of militants. Ever since the Indian Army carried out the military operation reportedly with the consent of Prime Minister Narendra Modi, several doubts and questions have been raised pertaining to the mission. However, nothing has been made clear as yet. How many miltants were killed, 20 or 100? 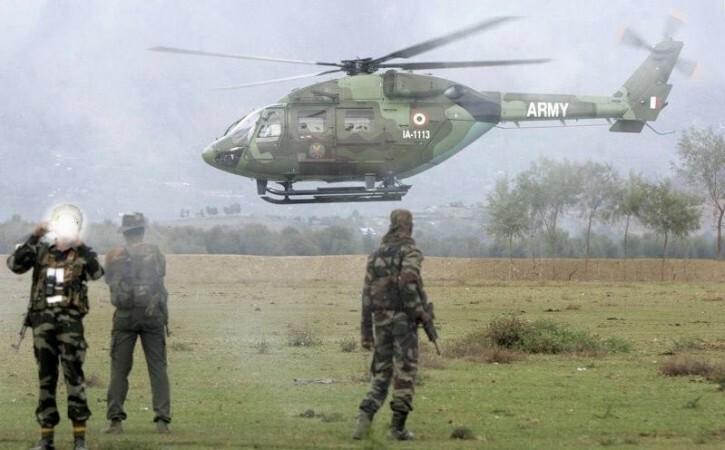 While the official statement by the Indian Army denotes the number of casualty in terms of "significant" and "several", the range of casualties varied between 20 and 100 in the news reports. Some reports even suggested that the Indian Army took down more than 100 militants. A Huffington Post report said the army shot down 18 and injured 15, of which many were in a serious condition. Despite the confusion continuing even two days after the operation, the defence ministry or the army itself did not specify the numbers. It raises an obvious question, "why". The NDA government even preferred to keep it vague whether the Indian Army's "hot pursuit" on the militants happened in Myanmar territory or the Indian. While several media reports said the military operation was carried out inside the territories of India's neighbour, the Indian Army statement states "along the Indo-Myanmar border at two locations, along Nagaland and Manipur borders". Myanmar also rejected the reports that said the operation against the Naga militants took place in its territory. However, neither the defence ministry nor the Indian Army came forward to clarify the media reports. Did Myanmar know about the operation in advance? Here arises another doubt. Did India inform Myanmar before carrying out the military operation, as many news reports suggested? "The Indian forces reportedly informed Myanmar Army only after the first shots were fired keeping in mind the proximity and understanding NSCN(K) has with Myanmar," the Huffington Post reported. Some reports suggested that the Indian authorities had informed Myanmar well before the operation and, in fact, sought its permission for it. Was any photograph of the operation released? Questions are also being raised about a photograph, purportedly related to the military operation, which has gone viral on the internet. Several news agencies and media institutions carried the photograph claiming it to be that of Indian Army's special forces who were part of the operation. However, spokesperson of the Ministry of Defence, Sitanshu Kar, said that it has not released any photographs related to the operation. Responding to it, Asian News International (ANI) editor Smita Prakash said that they were "authorised" by the Additional Directorate General of Public Information of the army to use the pictures after blurring.